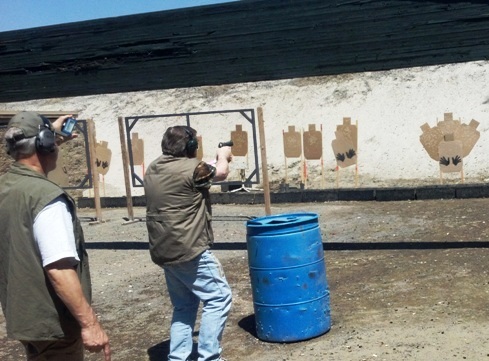 How Much Do You Train At Shooting? I have a friend and fellow gun enthusiast who has a very clear statement about firearms training: Every round you fire should have a training value attached to it. I love going shooting. I could just plink away all day long with a .22 and a bucket of ammo. But shooting is not training. Training will save your life. I was thinking about this the other night as we were talking about our day of shooting at our bi-weekly IDPA event. In teaching shooters to perform the “One-Hole Drill,” one needs to remind them to focus intently on all their marksmanship fundamentals – focus on the front sight, press the trigger until you get that surprise break and so on. But practice does not make perfect. Perfect practice makes perfect.